Amazing! beautiful colors love it your necklace so bad!! What a fun look! 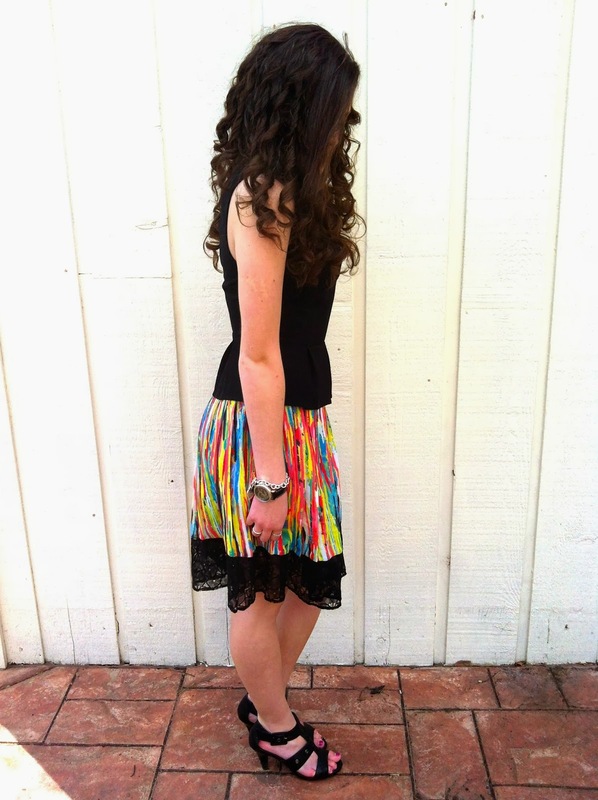 I love your bright and colorful skirt! That skirt is amazing! You look great. 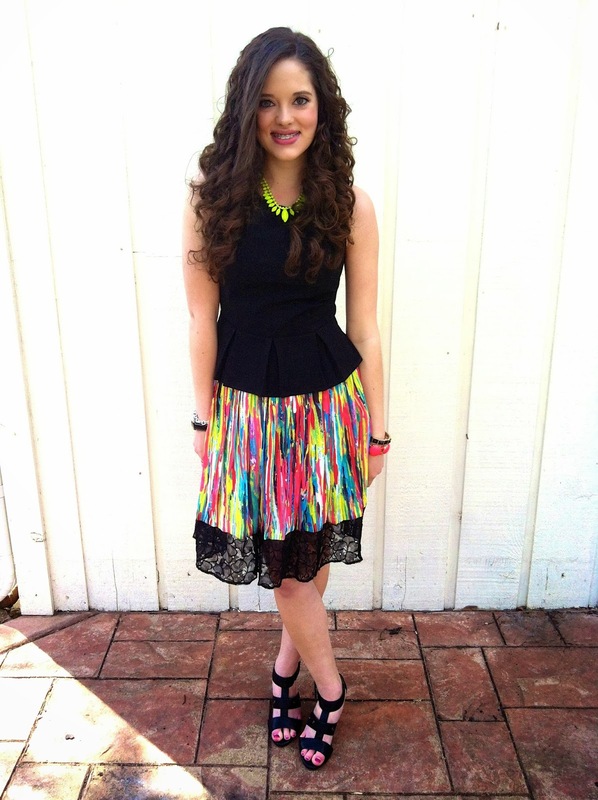 That skirt is so colourful and fun! 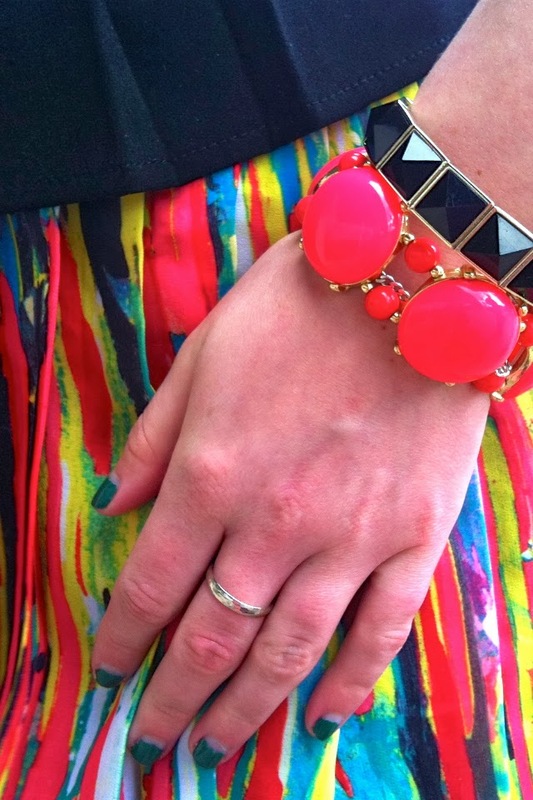 love that skirt and all of the colors in this outfit. looking beautiful! You look so pretty! 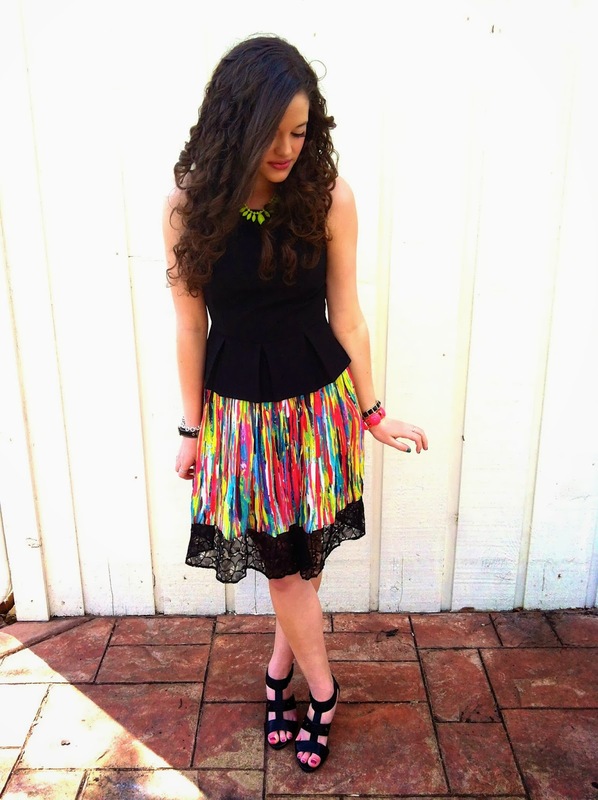 I love the colorful skirt with the black peplum top! This combo is really hot and you look great, indeed) I love the way you always style your hair, beautiful! love how you used the neon necklace !!!! cute! 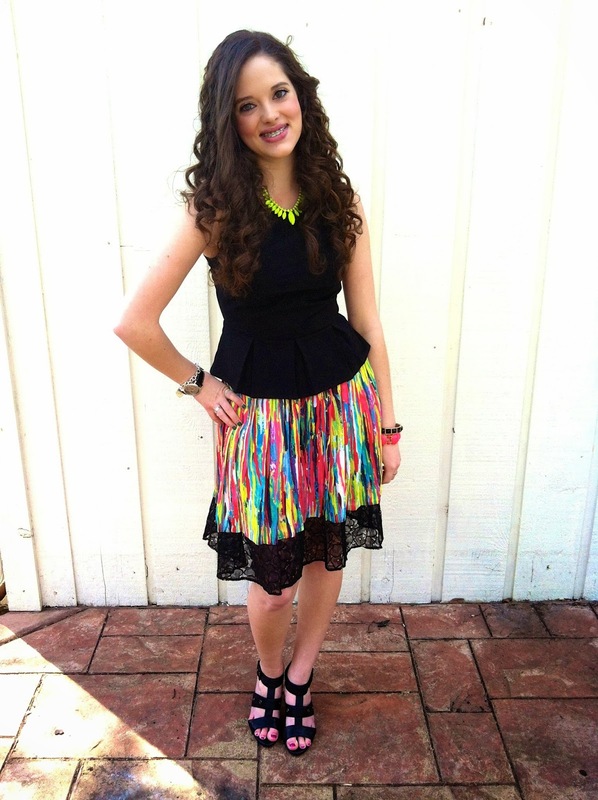 that skirt is so fun! 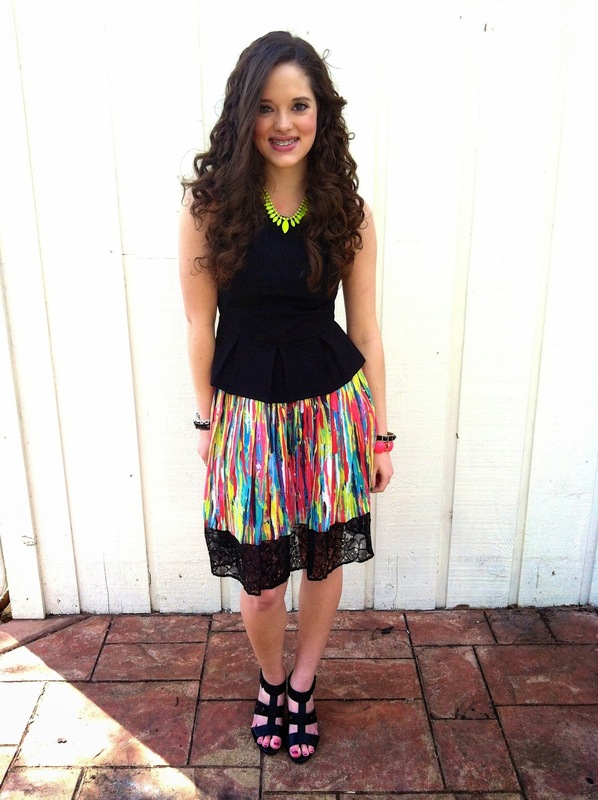 I love that pretty skirt and the neon necklace is awesome! Hey doll you look so pretty, grown up and alluring. I love this skirt. It packs a perfect punch of color and says "happy". The jewels are nice compliments of course. I knew this was prabal gurung! So fun. And I have that same top! I need to wear it more.... Loving the bright jewelry too, especially the necklace! Love the skirt, the colors are amazing! Great post! I Adore the accessories! What a beautiful skirt! Love all the explosions of colors! Glad to see you still embrace summer colors! I seriously want to steal this whole look! Everything is wonderful! That skirt is just sooooo amazing! 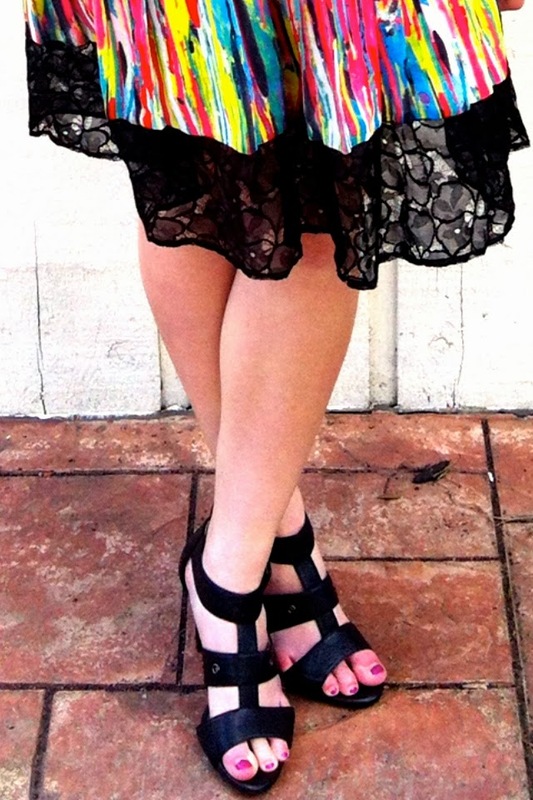 I mean the colors are just so bright and fantastic and the lace detail at the hem is so perfect! 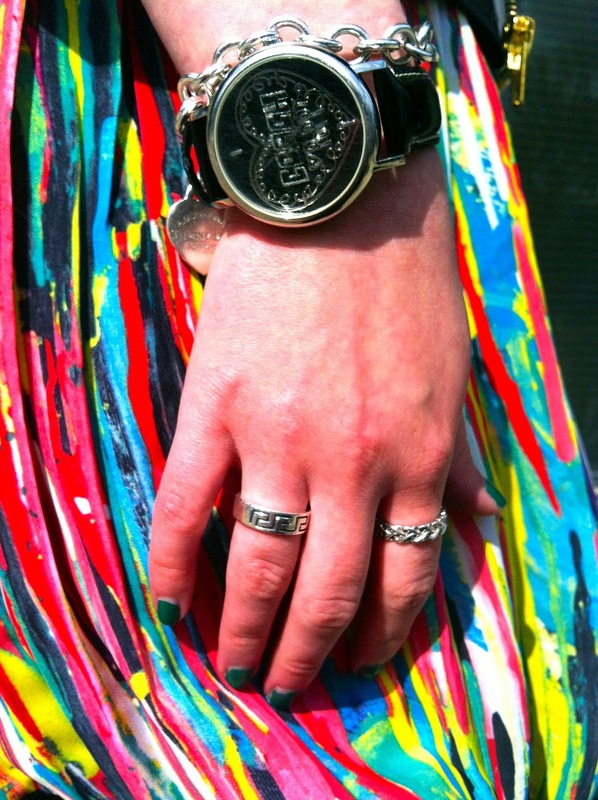 You sure did find the perfect matching accessories to finish the look!